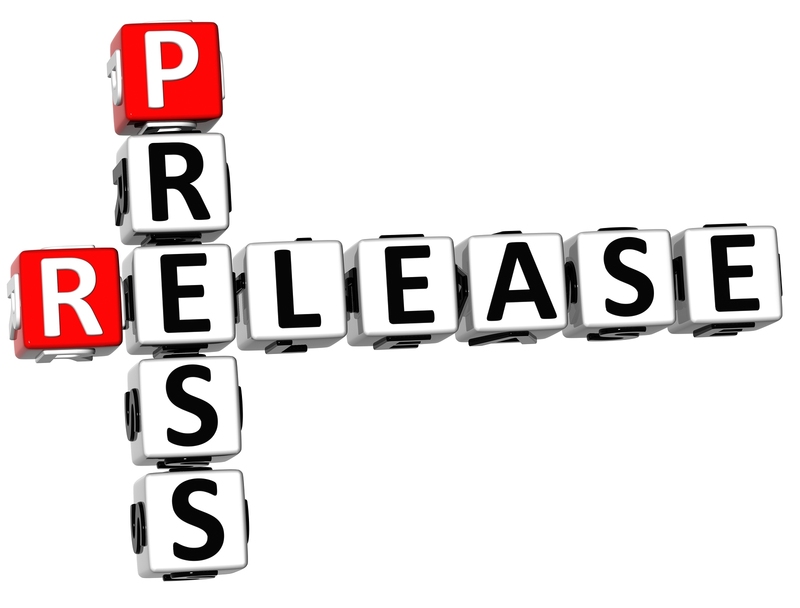 Today, we issued our Press Release on the results from our 16th annual Iowa Employer Benefits Study©. As you might imagine, there is a wealth of data coming from this year’s survey, but as always, one of the most newsworthy finding is the headline number – 6.8 percent. It is important to distinguish how this increase is determined each year. 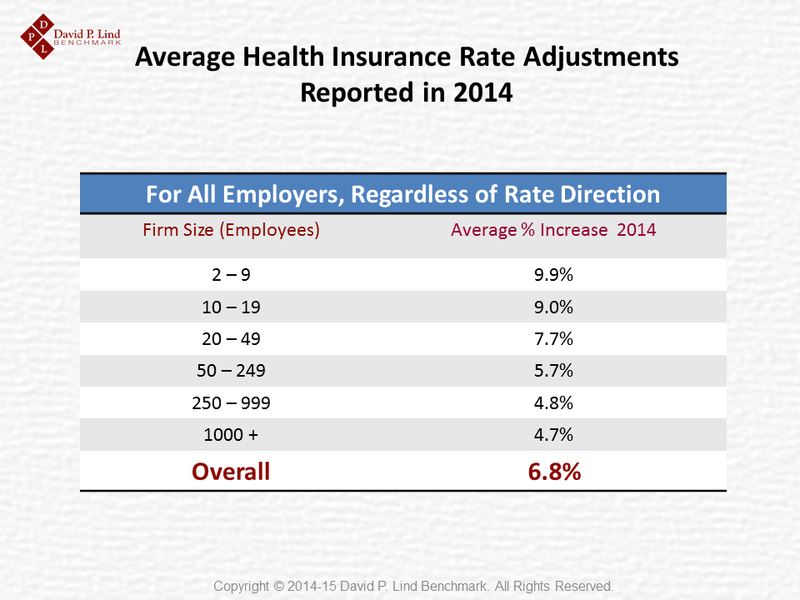 The 6.8 percent increase is an average that factors in employers receiving no rate change, an increase or decrease in their premiums. This number represents the average increase in premiums employers received PRIOR to making design changes to their medical insurance plans – such as increasing cost-sharing arrangements with employees. After altering the plan design, the net increase over the past year was 6.7 percent for single premiums and 5.3 percent for family premiums. 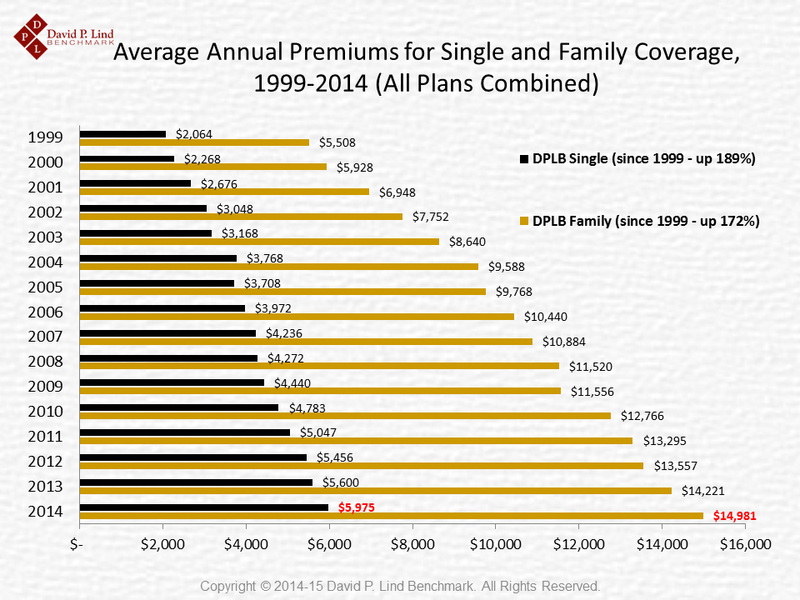 Since 1999, the annual Iowa single premium has increased 189 percent, while the family premium has increased 172 percent. Over the course of 16 years, employee contributions have increased 96 percent for single coverage and 120 percent for family coverage. 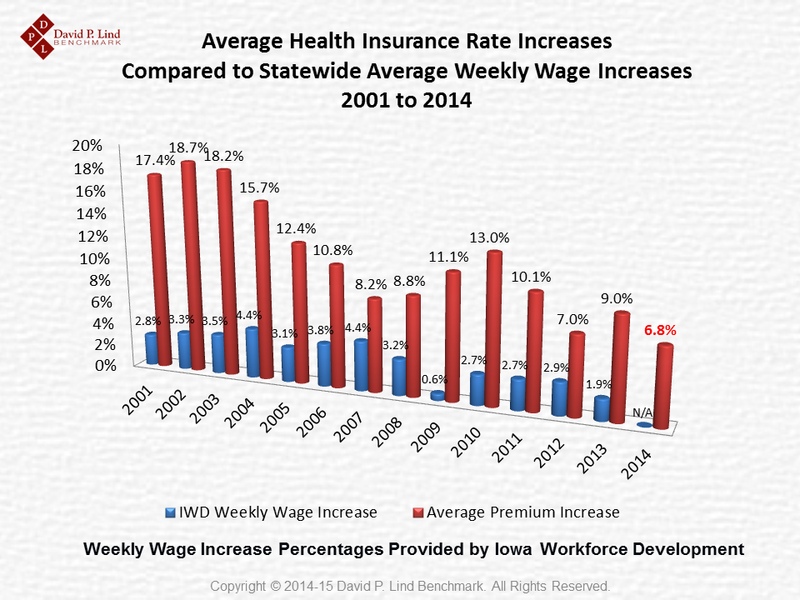 These numbers are more staggering when compared to the average weekly wage (for all industries), which increased only 39.3 percent between 2001 and 2013 (Source: Iowa Workforce Development). The overall percentage of Iowa employers offering health coverage increased to 81 percent from 77 percent in the 2013 study. This four percent increase is considered statistically meaningful. A greater percentage of smaller employers with fewer than 20 employees reported offering health coverage in the 2014 survey. 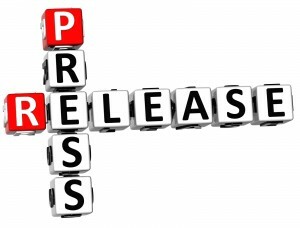 A number of questions relating to the Affordable Care Act (ACA) were directed to employers during this year’s survey. 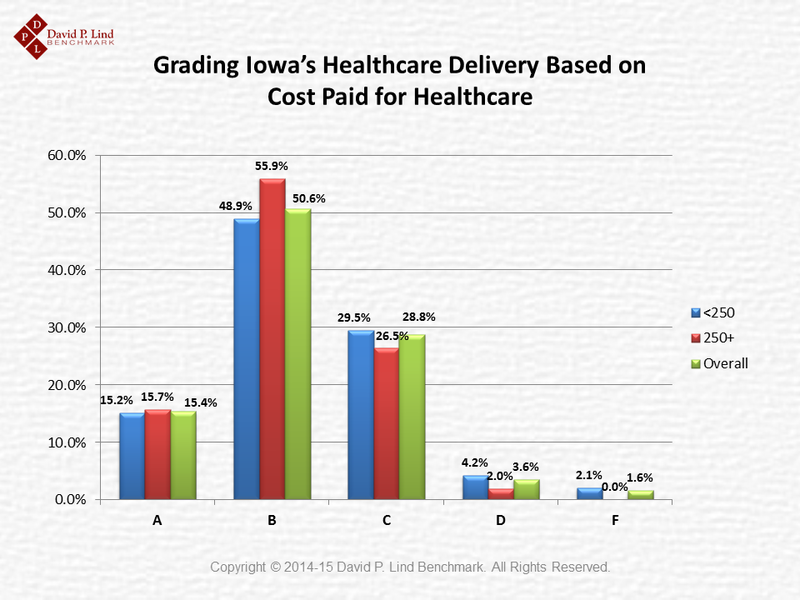 One key finding is that over 69 percent of Iowa employers feel it is ‘very important’ to offer health insurance for recruitment and retention purposes, while another 17.6 percent indicated that it was at least ‘somewhat important.’ Less than seven percent felt that offering health coverage was ‘not at all important,’ with most of these employers having fewer than 10 employees. 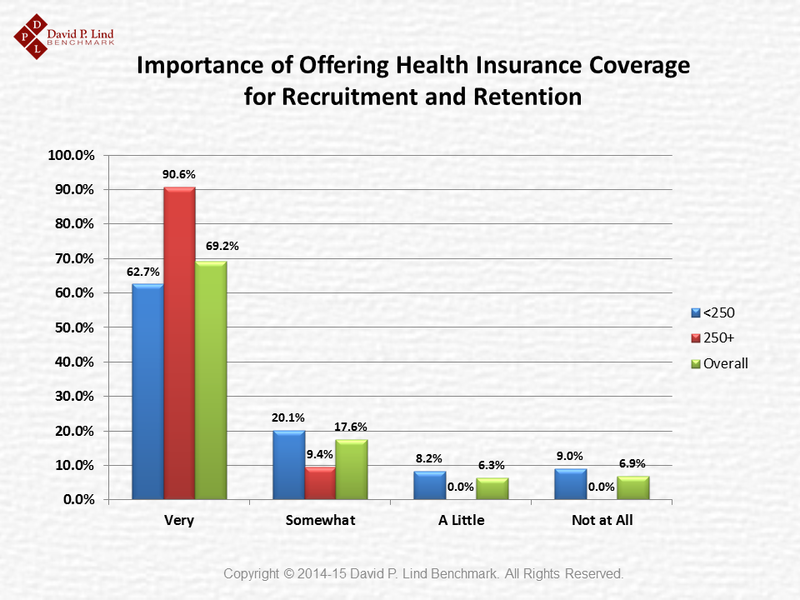 About two percent of employers anticipate discontinuing health coverage in 2015. The complete 2014 Iowa Employer Benefits Study© will be available for purchase and download very soon. The above information is just a small fraction of our survey results. To learn more, we invite you to subscribe to our blog.